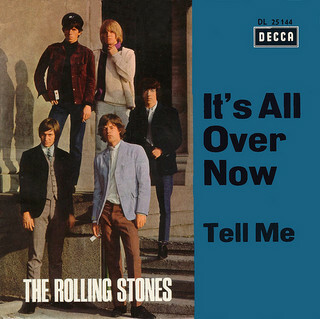 1964, The Rolling Stones were at number one on the UK singles chart with “It’s All Over Now,” the group’s first of eight UK chart toppers. The original Valentinos version of the song was played to the Rolling Stones during their first North American tour in June 1964 by New York radio DJ Murray the K. It was originally written by Bobby Womack and Shirley Womack. The Stones recorded their version nine days later at Chess Studios in Chicago. 1964, The Beach Boys performed at the Adler Theatre in Davenport, Iowa. 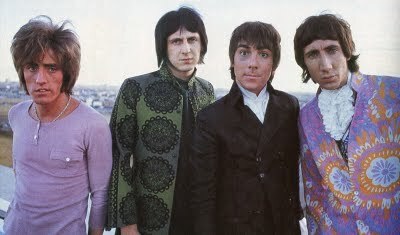 1965, The Who performed at the Locarno Ballroom in Stevenage, Hertfordshire, England. 1967, Jimi Hendrix appears at the Stadium in the West Side Tennis Club in Forest Hills, New York. Hendrix was the opening act for The Monkees. He got so tired of the boos and screams from impatient fans of the group that he flipped a finger at the crowd and stormed off stage. 1967, The Who began their first full North American tour at the Memorial Coliseum, Portland, Oregon, appearing as support band to Herman’s Hermits on 55 dates. 1968, Promoter Bill Graham leaves the Fillmore Auditorium to take over San Francisco’s Carousel Ballroom. Electric Flag and Blue Cheer play the final Fillmore concerts. 1969, Procol Harum performs at the Boston Tea Party in Boston, Massachusetts. 1970, The Grateful Dead play at the Euphoria Ballroom in San Rafael, California, a suburb of San Francisco. 1973, A drunk driver killed Clarence White of The Byrds while he was loading equipment after a gig in Palmdale, California. 1973, Gary Glitter and the Glitter Men made their live debut at Mecksham, Wiltshire, England. 1973, During a concert at the John Wayne Theatre in Hollywood, California, Phil Everly smashed his guitar and stormed of stage, Don finished the set by himself and announced that The Everly Brothers had split. 1974, Eric Clapton played at the Capital Centre in Landover, Maryland. 1977, Elvis Costello and The Attractions made their live debut supporting Wayne County at The Garden, Penzance, Cornwall, England. 1978, Marshall Tucker Band played at the Mid-South Coliseum, Memphis, Tennessee. 1980, Blue Oyster Cult appeared at the Convention Center Arena, San Antonio, Texas. 1980, Allen Klein ex-manager of The Beatles and The Rolling Stones began serving a two-month prison sentence for falsifying tax returns. 1982, The movie premier for Pink Floyd’s The Wall was held at The Empire, Leicester Square, London, England. 1982, Van Halen kicked off their 105-date North American Hide Your Sheep Tour at Richmond County Civic Center in Augusta, Georgia. 1986, Madonna was at number one on the UK singles chart with her “Papa Don’t Preach,” her second chart topper. Madonna also had the UK number one album with True Blue. 2007, A pair of glasses worn by former Beatle John Lennon sparked a bidding war after being offered for sale online. The circular sunglasses were worn by Lennon during the Beatles 1966 tour of Japan, where the band played some of their last ever live dates. Anonymous rival bidders had pushed the price as high as £750,00.